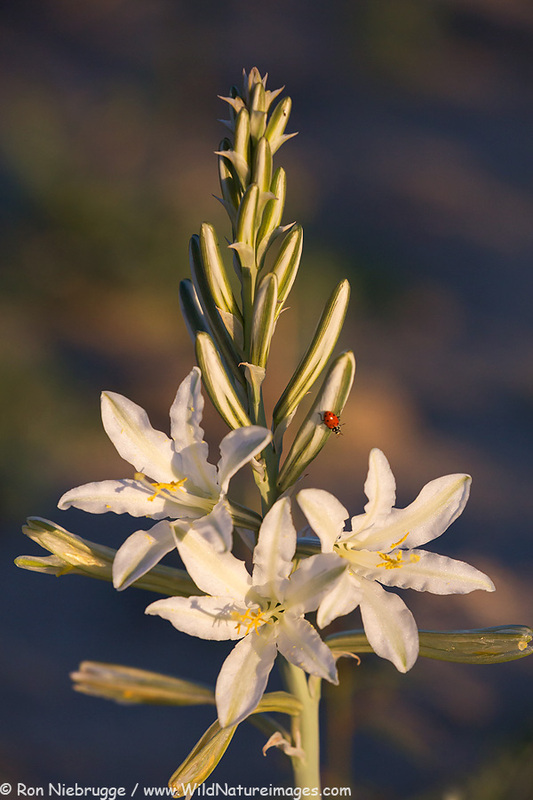 Ladybug on a Desert Lily, Anza-Borrego State Park, California. 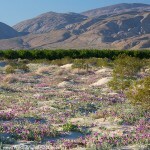 There is a lot of green in Anza-Borrego this year, but wildflowers are running late this year. If anything, good years are usually early, like they were last year and in 2005. 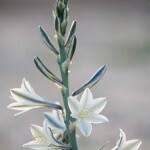 However, there is an incredible number of Desert Lilies! Way more then I have ever seen even in 2005. Out Coyote Canyon there are hundred if not thousands! I have seen them through out the Park, but especially in Coyote. 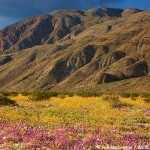 This has to be one of the most beautiful desert wildflowers. 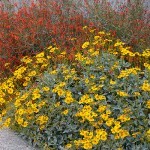 The other plant doing really well is the Chuparosa – very bright red versions can be found in many washes. 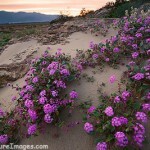 More wildflowers are on the way, next couple of weeks should be good. 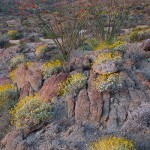 We are heading out tomorrow to explore Horneblend Canyon. I am hoping we see some color. Hey Bob – I hope you had success!